Townsend Conservation Land Trust – Dedicated to the preservation of open space that helps protect the natural resources which in part define the character of Townsend. Townsend Conservation Land Trust, Inc. (TCLT) is an independent, 501(c)(3) non-profit land trust based in Townsend, Massachusetts. Founded in 1988, to help support the town in the preservation of open space and aid in the protection of natural resources. As an all-volunteer organization, TCLT is governed by a Board of Directors comprised of Townsend residents. We welcome new members and volunteers. 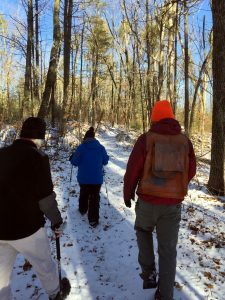 Please consider joining the Townsend Conservation Land Trust in our efforts to preserve open space and protect the natural resources of Townsend.